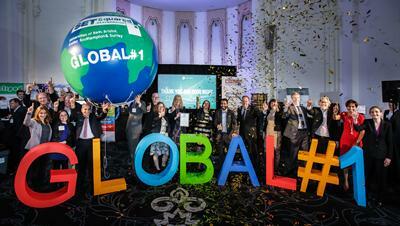 UBI Global recognises SETsquared as the World’s Top Business Incubator - Managed by University. The SETsquared partnership has regained its ranking as the world’s leading business incubator for its outstanding contribution to developing the next generation of UK tech entrepreneurs. The announcement, made at the World Incubation Summit in Toronto, Canada, confirmed SETsquared’s pre-eminence as ‘number one’ in its field which was first achieved in 2015. SETsquared is an enterprise partnership between the universities of Southampton, Bath, Bristol, Exeter and Surrey which nurtures technology-based businesses throughout their lifecycle from idea through to investment and scale-up. The SETsquared Southampton Centre is based at the University of Southampton Science Park. The partnership’s ranking comes as a result of the world's most extensive benchmark study of university-linked business incubators and accelerators, conducted by UBI Global, and has recognised SETsquared as the World’s Top Business Incubator - Managed by University.